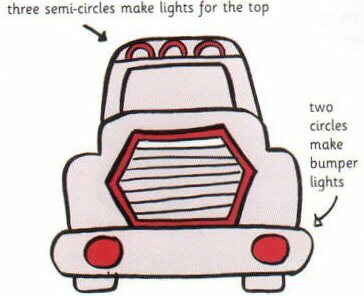 Now that you know how to draw a truck from the side it’s time to learn how to draw one that’s driving straight at you! Remember that the colours I’ve used here are just to show you which piece to draw – don’t colour in your picture until the end. 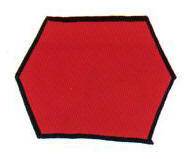 Start by drawing a hexagon as shown – make sure it has six sides. 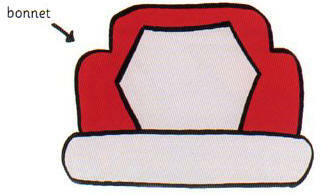 Draw a curvy shape around your hexagon – it will look a bit like an armchair but it’s really the bonnet. 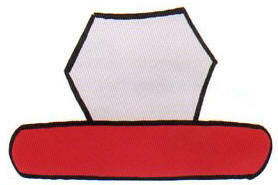 On top of the bonnet draw a kind of flat-topped hill. 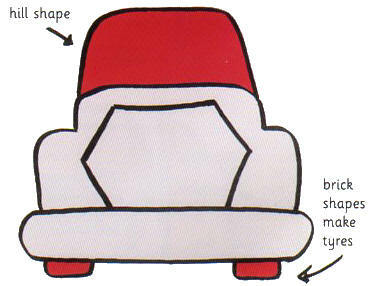 Then draw two brick shapes under the bumper. 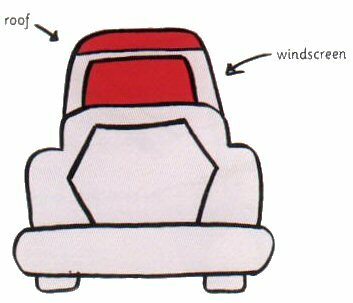 Put a smaller flat-topped hill inside the bigger one to make the windscreen. Draw a horizontal line just above this to make a roof. Use circles and semi-circles to make lights as shown. Put a smaller hexagon inside the big one and draw lots of fines across it to make an engine grill. 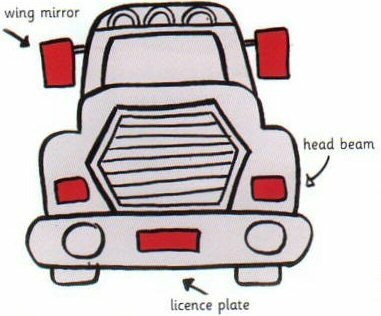 Now add five rectangles – two for wing mirrors two for head beams and one to make a licence plate. 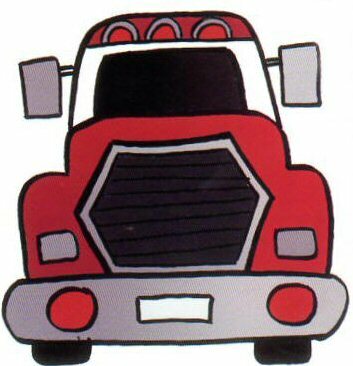 I’ve coloured in my truck to make it look like a fire engine – COMING THROUGH!